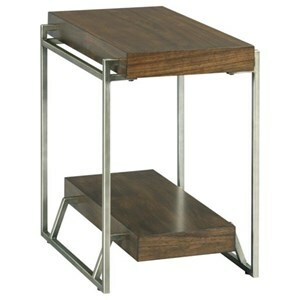 This rectangular end table exemplifies industrial style. 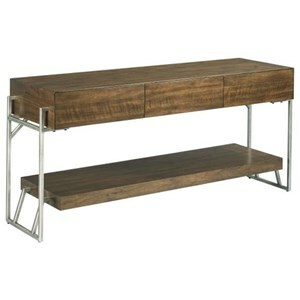 The metal legs support a bottom wooden shelf and top drawers, providing ample storage. 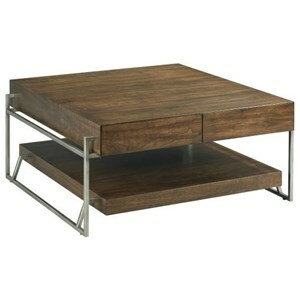 Inspired by urban converted spaces, this table is well-suited for lofts or apartments. 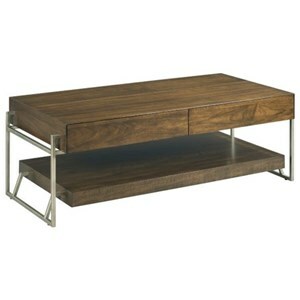 The Palermo Industrial Rectangular Drawer End Table with Storage at Morris Home in the Dayton, Cincinnati, Columbus, Ohio, Northern Kentucky area. Product availability may vary. Contact us for the most current availability on this product.